This questionnaire is only for a site who is already using the WordPress platform and needs a re-design / new theme customization. 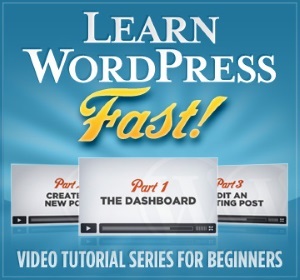 If you are starting a brand new site with WordPress, please Click Here. The first step in the “brainstorming” process will be to gather information so we know what direction to go in concerning your WordPress customization. There are an abundance of WordPress themes and designs that we can choose from, so we want to figure out which one will be the best choice for your needs. And if you already know what theme you would like to use – that is great too. You can specify that in the questionnaire below. What is the name of your hosting company? Do you have a Wordpress Theme / Template already in mind? If so, please share the name & demo link. If not, we would be happy to help you choose one that will best fit your needs. Do you need custom graphics? Please specify what you might need. We suggest starting with the logo design and then build the site around it (brand colors, etc) We have also included the prices. What type of site layout do you want? What do you envision for the homepage of your site? For the sidebar, do you want to keep what you have or add new options? Please explain. It is very helpful if you can provide links to some sites that you like. They don't necessarily have to be sites in your industry just sites that you like for the design, look and feel, or navigation style. Please give a short explanation on what you like about each site and what exactly you would like to incorporate into your site. Feel free to share any additional info that will help us come up with an appropriate quote. The more info the better. If you are on Skype and/or Twitter, please provide your handles. We often connect using Skype IM or by Tweeting/DMs.